At Dana Ben Realty, when we sell a home we sell the experience each home has to offer. That’s why we focus so much on staging it properly; to maximize everything the home has to offer in the most authentic way. 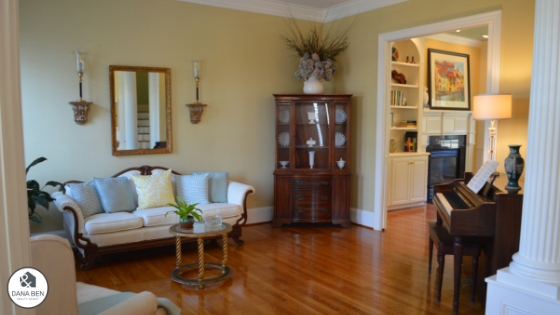 Staging allows you to offer buyers a way to experience your home as they would if they owned it themselves. 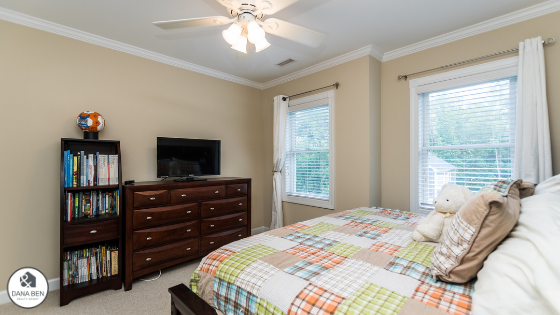 One important aspect of staging is to ensure you’re making good use of the space each room has to offer and making it more inviting. For some rooms all this takes is opening up the curtains and letting a little light in. 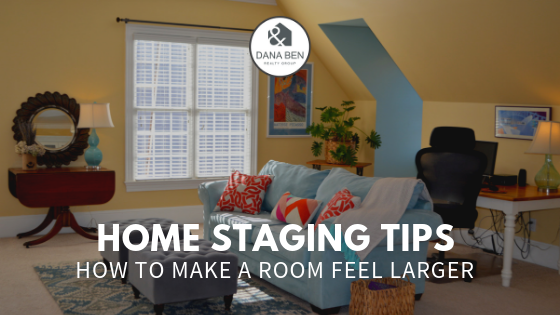 But for others, it can be challenging and you may need to utilize a few staging techniques that maximize the space so buyers realize all the room has to offer. 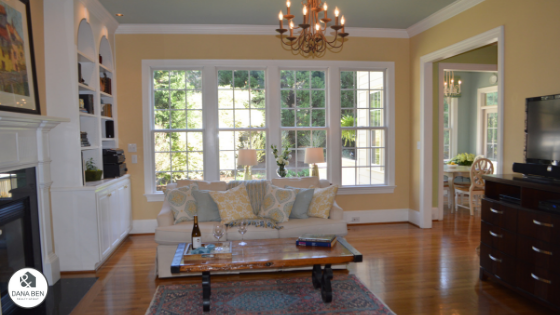 When staging a home, your not out to “trick” or “fool” anybody. That is not the goal here. Small rooms and homes have a purpose too, and should not be made to feel ashamed of their size. It’s how you use the space that matters. A bright room is a happy room. Remove the curtains and let in the light. This improves the experience vastly. Add in a few plants and you’re bound to get a couple “oohs” and “aahs” upon entering. If there is no natural light, pick up a couple of unique lighting fixtures and amp it up with some bright lights. For some people, small rooms feel tight and restricting and no one wants to feel contained in their own home. Place a few mirrors strategically around the room so they capture the natural light and reflect of one another. The light brightens up the room and in turn, makes it feel larger. Again, you’re not tricking anyone here, but you are ensuring their comfort. Finally, declutter man. By now, you should know clutter is buyer kryptonite. No one wants to walk through a cluttered home and if the home is small, it’s even smaller with stuff stacked everywhere. Check out my LinkedIn post and get organized. If you have a lot of the same stuff, like a collection or a bunch of books, put a couple of shelves up and place your books there in a neat and orderly fashion. The added feature will give a little depth to the room making it feel even bigger. When you’re done, take a picture and share it on our Facebook Page in the comments below the blog post. Let’s see how you took that cramped space and turned into a happy place. Patrick Cox is the Creative Content developer for Dana Ben Realty Group and is passionate over home design and gardening.